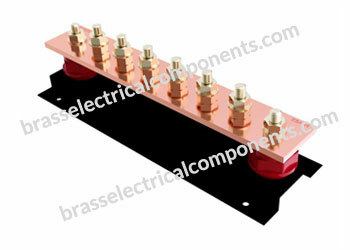 Material: Copper to BS1433/BS2874-C11, High Conductivity Copper(C101). 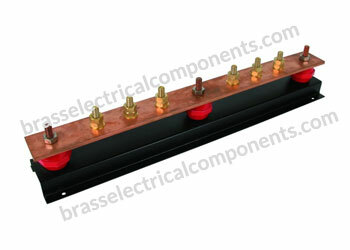 Insulator: Black Powder Coated Steel Galvanised Base. 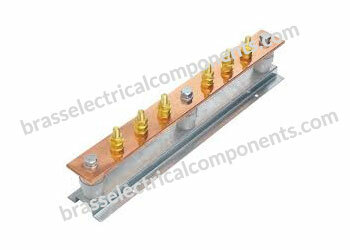 Base Material: Galvanized Steel, zinc coated to BS2989:1982 Grade Z2. Threads: BSP, NPT, PG, Metric, ISO, DIN, GA, JIS, GB. 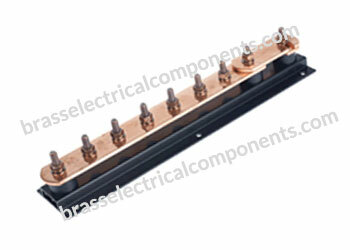 Conformal Standards: BS 2874-C101/C103, IEC 60079. 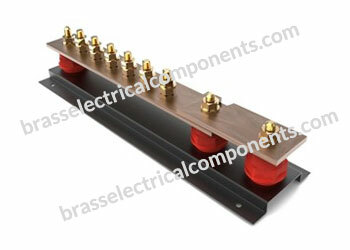 Powder coated bases can be supplied to reduce the risk of corrosion. 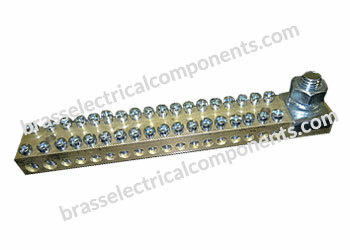 Pre-drilled fixing holes for ease of installation (these can be threaded if required). 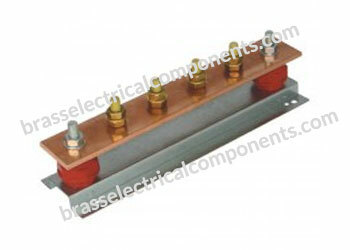 We use the highest quality raw materials. 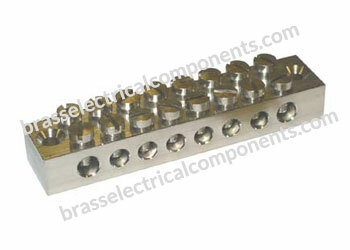 The manufacturing process ensures you receive a quality product consistently. 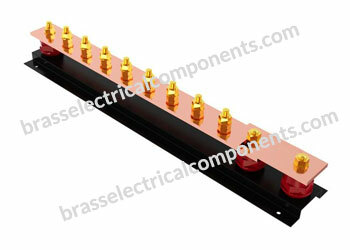 Earth Bar resists water corrosion and provides enhanced conductivity, due to its improved water resistance. 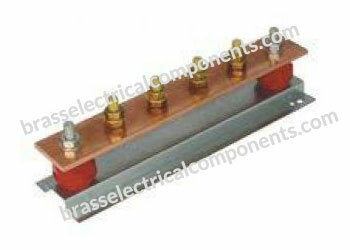 Used for connecting wires for electrical meters and fuse links are used with electrical fuses. 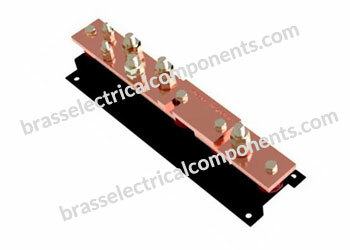 Brass Earth Bars protects against atmospheric corrosion and hence provides longer life when exposed to corrosive atmospheres. 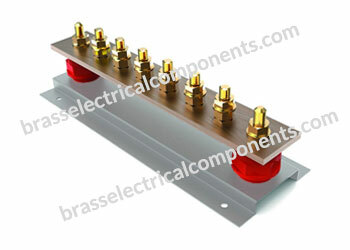 Tinned or Brass Earth Bars could be used in external applications or where atmospheric conditions are more severe and aggressive than normal i.e. high moisture content areas, high humidity etc. Often used in various marine projects. 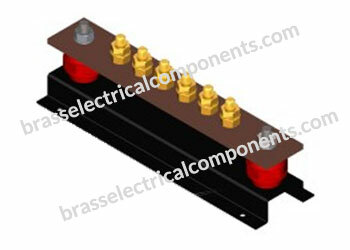 Ideal to ensure complete and easy introduction of the conductor strands. 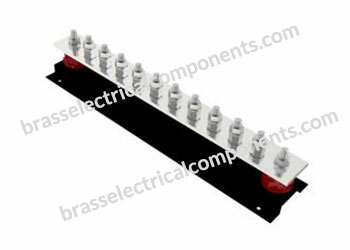 Used in panel, telecom and utilities. 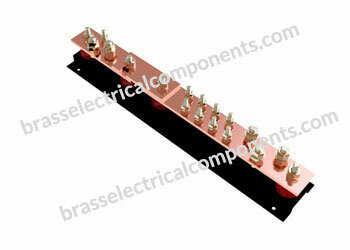 Pre-drilled base holes for ease of installation.